It normally takes about thirty days for a new habit to form. Test your willpower along with my 7th and 8th grade students this month, and see if you can meet four fitness goals every day: 8 hours of sleep every night, 5 servings of fruits or vegetables, 1 hour of physical activity, and 30 minutes or less of technology time. 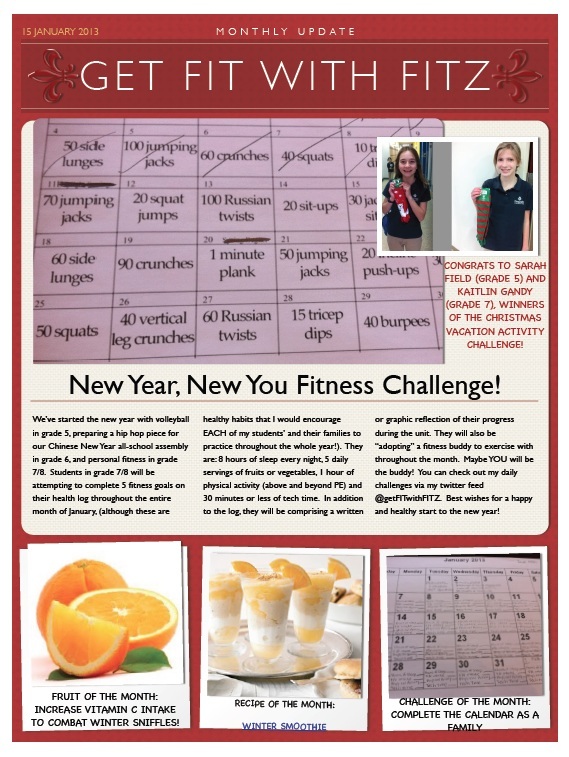 In addition, my students will be adopting a fitness buddy to exercise with throughout the month. Check out my daily challenges via my twitter feed @getFITwithFITZ.